An appeal court in Paris has overturned a lower court garnishee order freezing $100-million worth of funds belonging to the Central Bank of Libya (CBL), held in the Crédit Agricole Bank. 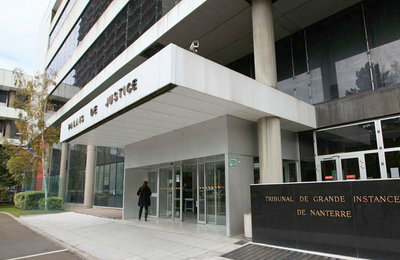 According to the CBL, the Tribunal de Grande Instance in the north east Paris suburb of Nanterre has also awarded it costs in the case which was decided on 28 November. The funds had been frozen at the request of Kuwait’s Kharafi group in April last year. The case relates to Kharafi’s claim for almost $1 billion in compensation for a $130-million tourist resort project in the Tajoura area of Tripoli, agreed in 2006 but apparently cancelled after the revolution. It had been due to be completed in 2011, when the revolution broke out, although to that date all that allegedly had been expended was $5 million for feasibility studies, design and management contracts. Kharafi took its case to an Egyptian court in 2013 which awarded it $936.9 million, of which $900 million was for lost potential profit. It then applied to a French court to seize Qaddafi’s private plane, an Airbus A-340 which at the time was at Toulouse undergoing repairs and refurbishment having been damaged during the revolution. The French court, however, refused the application. At which point, the Kharafi group said that it was concentrating on other assets in France.